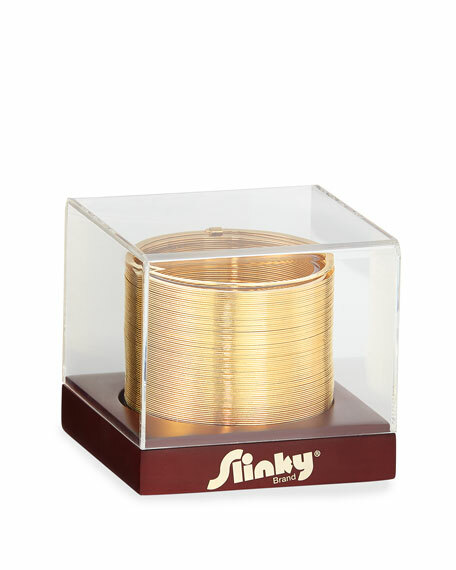 The Original Slinky Brand 14-karat gold-plated Original Slinky is a limited collector's piece that comes in an acrylic case. 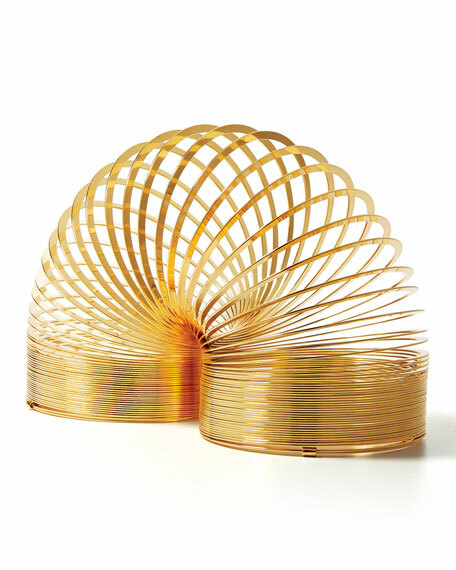 Made of gold-plated brass, it is a constant entertainer as it walks down stairs or comes alive your hands. 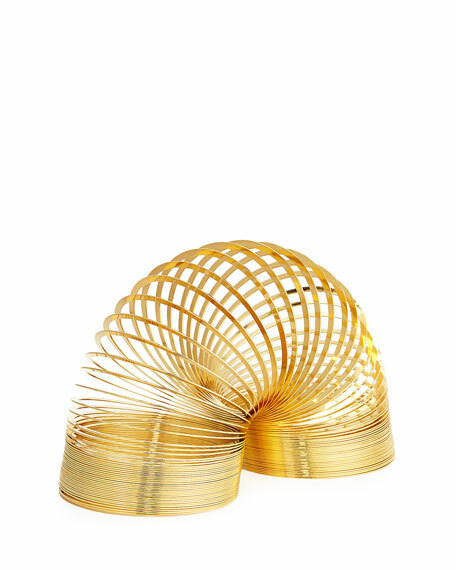 3.6"W x 3.75"D x 2.75"T.
For in-store inquiries, use sku #2323290.